Wood Processing. Woodworking Workshop. Workers Sawing The Boards Circular Saw. Description: Wood processing. Woodworking workshop. 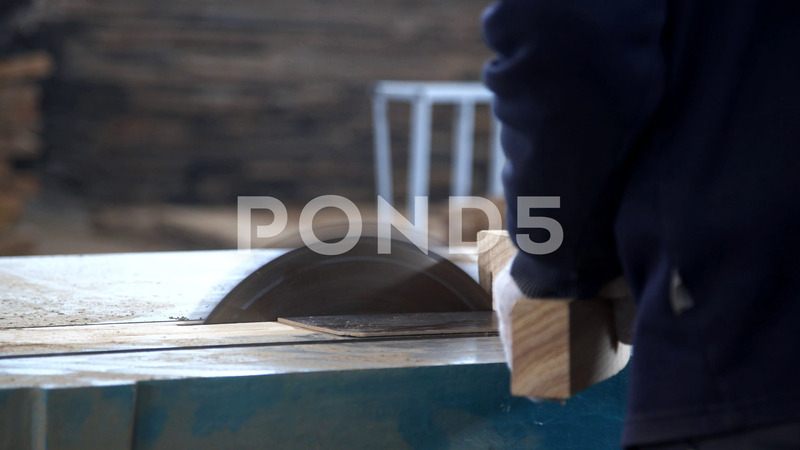 Workers sawing the boards circular saw.